In order to maximize the visibility and popularity of the remodeled amenities at your apartment community, try implementing some of these summer staycation ideas for your residents. Keep the temperature nice and cool to encourage residents to use it on hot summer days. Offer hand towels to residents. Set up a spa water station of beverage dispensers filled with ice water and flavored with lemon, mint, or cucumber slices. Bring in a fitness instructor to teach a class or a nutritionist to offer free consultations with residents. Now is the time to really push your outdoor sporting amenities! 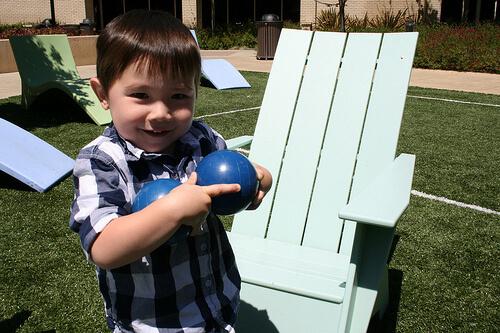 Bring balls and other necessary equipment and have a party at the volleyball, basketball, tennis or bocce court. Provide bottled water and play music. Bring in a golf instructor for free putting classes at your putting green. Publicize your jogging trail by hosting a guided nature tour educating residents about the local trees, birds, and other natural features. Show off your pet-friendly features by hosting a “Dog Days of Summer” party or “Yappy Hour” at your dog park. Provide snacks for people and pups alike and invite local pet-centered businesses to do a raffle or giveaway. Keep the thermostat set low to entice residents. Make sure your clubhouse has lots of comfortable seating and a layout that encourages residents to gather and socialize. Set up a pool station with ice-cold beverages and sunscreen for those who are heading out to swim. Everyone hates firing up the oven to cook during the summer and subsequently heating up their apartments, so consider catering a weekly or monthly dinner for your residents. If you have a media room or even just a projector in the main clubhouse, host a movie night complete with popcorn and candy. Multifamily remodeling projects are a great way to increase the value of your apartment community and raise resident retention, but it only works if people know about the upgrades! If you are thinking of renovating apartment amenities, be sure to leverage those features for maximum resident awareness. For assistance from project scope and planning to actual renovation, Professional Multifamily Redevelopment can help. With over 27 years in the apartment renovation and construction management industry, we can help you renovate apartment amenities that will add value to your multifamily property. Contact us today to discuss your multifamily remodeling project.